Whether you want to give an elevator pitch or a 45 minute in-depth presentation with a slide or video show, it is important to know who will be your target. Depending on the (suspected) previous knowledge of your audience you should adjust your terminology and your arguments. A prospective investor is usually more interested in your business model than in the details of your technology, whereas a prospective customer would probably want to know the specific advantages of your product or service for his or her work. A potential business partner could look for possibilities to combine your technology with one of his/her company or institution. You should therefore target your message to your audience, stressing different aspects (e.g. markets and customers, only those USPs that are important for the respective audience, or the possibilities for combining your technology with others. In essence, you should prepare and practice a number of different presentations for different purposes. To achieve maximum impact, you need to speak freely instead of reading a manuscript. It is optimal if you know what you want to say by heart – for longer talks, it is o.k. to use memory cards to make sure you don’t miss an important point. If you tend to develop stage fright, it helps to practice as often as possible, starting with an audience you are not afraid of (such as family and friends). It doesn’t matter whether your substitute audience is knowledgable in the field or not (they may not be able to ask expert questions but can help you to present your topic in a way that is more easily comprehensible). Have a stopwatch handy to check the time needed. With many smartphones nowadays being capable of taking videos, it is very easy to record your presentation and check it afterwards to see what can be improved. Once you know your text well and can give your speech in time, you should start to turn your attention other important points: try to modulate your voice, vary the speed and speak with a deeper voice. Even if you are presenting to a small audience only, you should always be standing because this will automatically create more attention. You should be directed to your audience, your weight placed evenly on both feet which should be about 20-25 cm apart and form an angle of about 30 to 45 degrees. Avoid to be rooted to the spot even if you have a lectern at your disposal (as long as you are not tied to a fixed microphone). Use your hands to accentuate your speech or place them at rest somewhere near your belly button. Some people find it helpful to hold a pen to avoid their arms hanging limp at their sides. Let your glance wander through the audience (look at the screen only if necessary to make sure you are talking about the correct slide). Under no circumstances should you look at the bottom or the ceiling for more than a few seconds – your audience will likely take this as a sign of insecurity or not being sincere. There are many ways to get the full attention of your audience. One intro that doesn’t work – you have probably guessed it – is starting with introducing yourself and/or thanking the organizers for giving you a chance to speak to this audience. People have heard this so many times that their level of attention decreases almost instantaneously. You should rather start with something your audience does not expect, this could be a rhetorical question or an unusual anectode that has a non-obvious connection with your topic. The more important your talk is, the more time should you spend to find an interesting starting point. As the first seconds of your talk are key to the impression you make, you should learn your first sentences by heart (I mean this literally, with every pause and gesture). You will be surprised how easy it can be to exert an almost magical spell by starting with the simple words „What would you do if…“ or „Imagine that …“ or „Let’s assume you …“. If you manage to get your audience involved from the beginning, there is nothing much that can go wrong afterwards. If you want to push it to the limit, you can deliberately leave your audience in the dark about your real subject. It is a fine art to construct a story in such a way that the audience will be hanging at you lips until the aha moment but it is certainly one of the most effective ways to make an impression that stands out. One possibility could be to start with a description of the various problems (that will be solved by your idea or product), repeatedly asking what could be done to cope with these problems before you finally introduce your idea. Or you could stir the curiosity of your audience by first telling them which approaches have failed before you present the successful solution. If your presentation time is strictly limited, this strategy will be difficult to implement because it takes quite bit more time than telling a plain story. In case you need to present a complex product the advantages of which are technical in nature, it can help to use paraphrases from a familiar environment. Try to simplify your statements as much as possible by using analogies or metaphors. Don’t hesitate to employ even far-fetched comparisons as they make your message more „sticky“. Are there historical parallels that can show the validity of your approach? With a bit of research it is often possible to identify similar success stories that can serve as arguments for the probability of success of your project. Or can you give concrete examples where your technology has proven to be helpful? If you can cite names, places or dates, this adds to the credibility of your story. Besides, it is way more interesting than listening to theoretical explanations why your technology/product/service is better than others. 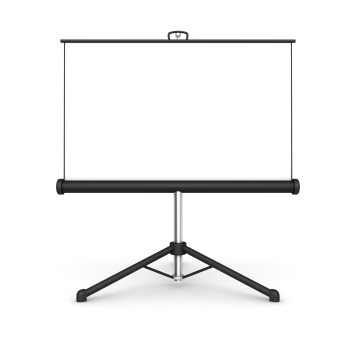 Another mistake that plagues numerous presentations are slides that contain too much information. Ideally, one slide should not convey more than one conclusion. Text should be kept to a minimum, font sizes should be 18 pt or larger. The more information a slide contains, the higher the risk for the presenter to just read text from the slide which many people find boring. Use animations sparsely as they tend to distract the attention of your audience. What you should pay attention to is using the same font size for headlines and placing them at the exact same position in every slide to avoid an unbalanced appearance. What to do if you lose the thread? Even if you are well prepared, it can happen that you have a momentaneous blackout and don’t know how you wanted to continue. This is not the end of the world and absolutely no reason to panic. The best remedy in such a situation is to keep calm and openly admit that you lost the thread. Most people tend to sympathize with others who admit mistakes. Just say „Sorry, it looks I’ve lost the thread. Where have I just been?“, go back one slide or have a look at your memo cards. It is quite likely that people in the audience will try to help you and reiterate the last point you made. Thanking the audience will even earn you bonus points and you will almost certainly remember your next argument. The funny thing is that you will often be perceived as more competent than if you had given a flawless talk. If you want to elicit some kind of action from your audience, you should definitely avoid stereotyped phrases such as „Thank you very much for your attention“ or „I hope I have been able to show you that …“. Depending on the complexity of your story and the length of your talk you could summarize the most important points at the end (…as I have shown you, a), b), c)…). The most important part, however, is to tell the people what you would like them to do (award you a prize, buy your product, license your technology or whatever). For instance, you could conclude by saying „I will be happy if you … but in any case, I will be delighted to answer your questions“.